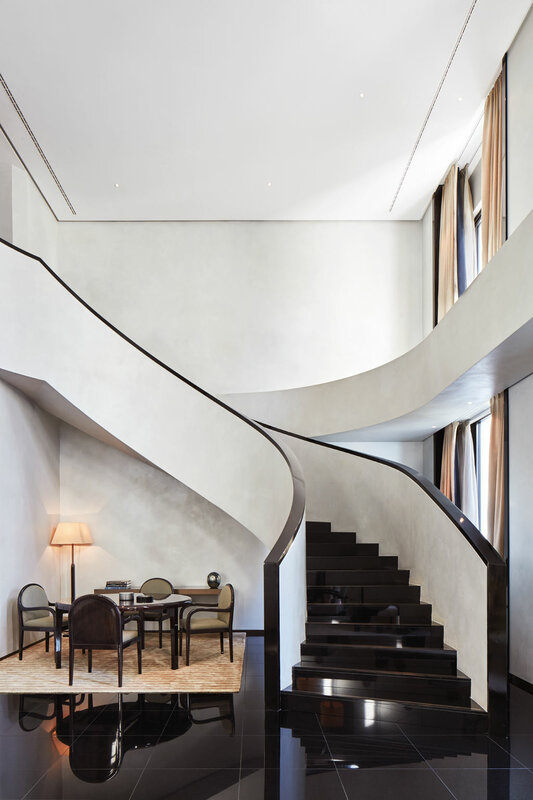 Situated within a 1930's building in the heart of the fashion district, the Armani Hotel Milano combines Giorgio Armani's style and philosphy into a luxury hotel focused on harmony and privacy. There are two Signature Suites within the hotel. Both of the suites are duplex suites, each with private kitchens, and sweeping circular staircases leading from the elegant living rooms to the en-suite bedrooms. Continue reading below the photo of one of the Signature Suites. The difference between the choice of the two Signature Suites is the size (2,185 and 2,045 square feet), along with some of the added amenities. One of the suites has a private gym with a shower and bathroom, while the other suite features a private cinema space with an extra-large TV and plush seating. 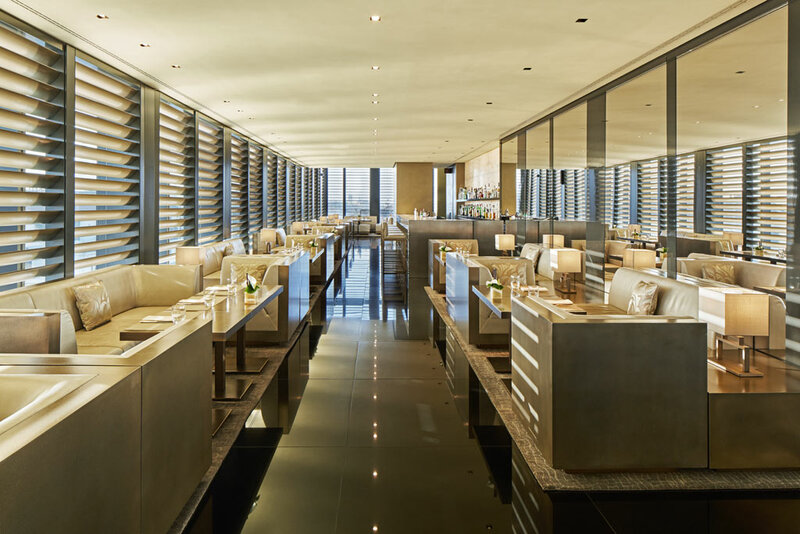 The Michelin-starred Armani/Ristorante offers a contemporary and innovative take on Italian cuisine. Including the restaurant's unique addition to the four traditional tastes, with a new, fifth taste: Umami, a word that in the Japanese language means flavorful. Continue reading below the Armani/Ristorante photo. There's also the Armani/Bamboo Bar for crafted cocktails and light snacks, plus the public areas are concentrated on the seventh and eighth floors in the so-called glass "hat," providing panoramic views of the city. 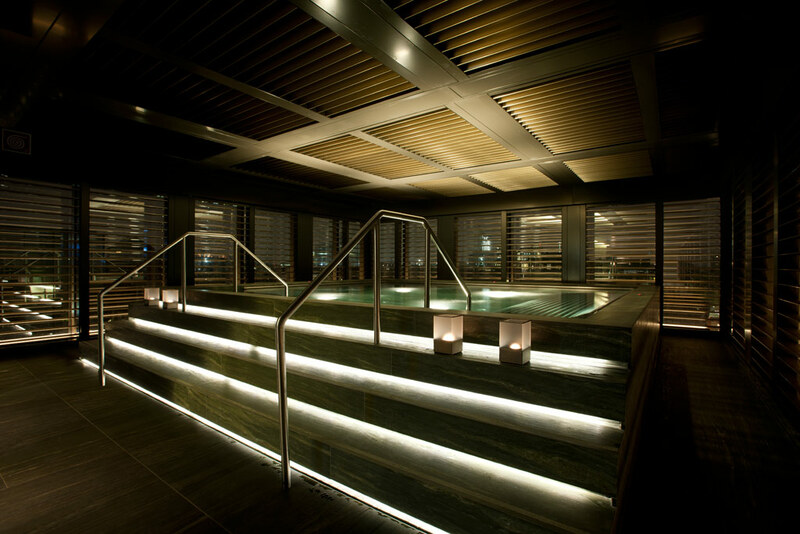 There's also the 10,763-square-foot Armani/SPA with a relaxation pool (see photo below), refreshment station featuring Armani/SPA herbal infusions, and a blend of exclusive and personalized treatments and services. 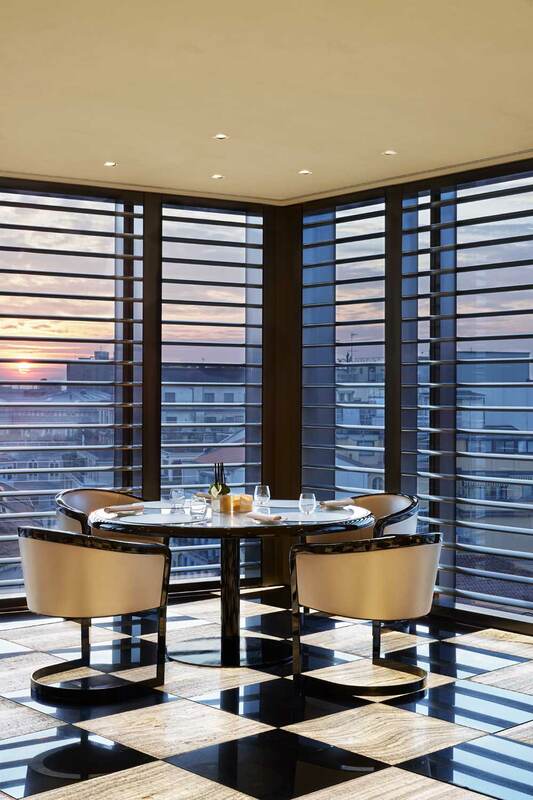 Enjoy a five star stay with the Five Star Alliance Rate at the Armani Hotel Milano in the heart of Quadrilatero della Moda, Milan's world famous fashion district. The Armani style and philosophy defines every detail of the 95 guestrooms and suites, where even the smallest is 45 square meters. The Five Star Alliance Rate offers the unique amenity of one cocktail per person (per room reservation) at the panoramic Armani/Bamboo Bar. Overlooking the skylines and terraces of the city, the Armani/Bamboo Bar has a double volume ceiling, louvered window wall and is the perfect place for a business lunch, informal get together, afternoon tea, pre-dinner apertivo, or Sunday brunch. Five Star Alliance guests can enjoy the complimentary cocktail while the rate is available from now until the end of the year. Designed by celebrated architect Patricia Urquiola, the Spa at Four Seasons Milano is accented with wood, cream and grey design elements to embrace you in warmth and comfort. Take a swim in the elegant lap pool, measuring 14 metres (45 feet) long and 1.4 metres (4.6 feet) deep. Congratulations to Armani Hotel Milano! 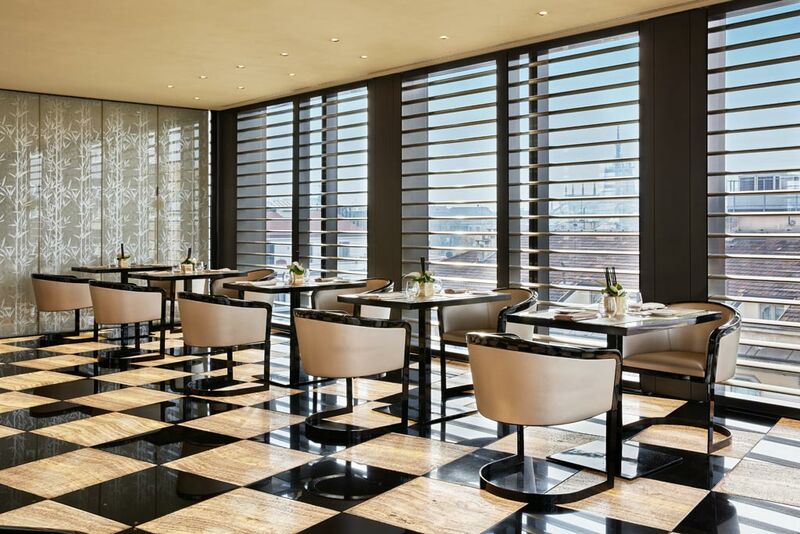 Armani/Ristorante Milano with its Chef Filippo Gozzoli, has been recently rewarded with its first Michelin Star. The award-winning restaurant draws on Italy's rich culinary heritage and focuses on using fresh ingredients to produce classic Italian cuisine. Adventurous gourmands will want to try the seasonal truffle menu, which includes fois gras, potato foam, veal, and a powdered chocolate mousse. Boasting exquisite fine Italian dining alongside delicious dishes and bespoke cocktails Mandarin Oriental Milan caters to both hotel guests and the city's discerning style crowd. 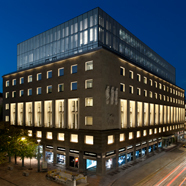 Excelsior Hotel Gallia was first opened in 1932. It has been fully renovated by renowned Milanese architect Marco Piva. Behind this sparkling hotel’s iconic Art Deco facade are elegant restaurants and lounges, an expansive spa, and stunning meeting venues. Mandarin Oriental Milan is accepting reservations as of July 1, 2015. Fusing chic Italian design with timeless Oriental luxury, Mandarin Oriental, Milan lies in the heart of the glamorous city. Only steps away from La Scala, Mandarin Oriental, Milan enjoys an exceptional location in one of the world's most fashionable cities. Occupying four elegant 19th century buildings and with just 104 rooms and suites, a fine-dining restaurants and the most comprehensive spa in the city, it offers a beguiling mix of style and luxury. Grand Hotel Et De Milan had its entire fourth floor destroyed in 1943, following a terrible bombing (which also hit La Scala). Subsequently, the Military Staff of the 5th American Brigade took charge of the hotel. The “Milan” became a place for holiday rewards for ally soldiers. At some point, the hotel even had its own Military Chief. Parties, balls and concerts were held in the luxurious and exclusive restaurant. On June 24th 1946, the hotel finally found peace. Work was started by architect Giovanni Muzio (main representative of the Modern Movement) immediately after the war to restore the oldest and most prestigious Milan hotel to its former glory.